It seems as if travelers are always on a never-ending quest to find the most comfortable shoes. The last time we surveyed our readers to discover their best travel shoes, they gave us forty of their all-time favorite styles, including both comfortable and fashionable footwear. This time, we’re turning to professional travel bloggers to help us find the most comfortable options. These people travel full-time and spend countless hours sightseeing on their feet. If anyone knows the best shoes for travel at home or abroad, it’s definitely them. These experts are giving you the inside scoop on their top picks for the most comfortable shoes. Take a look! What are the Most Comfortable Shoes for Travel? What are the most comfortable shoes? Below you’ll find the list with all the top choices by professional travel bloggers! Tip: Packing cubes make the perfect shoe bags to protect your luggage from dirty shoes. Take a look at other shoe bag ideas here! Scroll down below for a full description of their features, benefits, and to find out which styles work best in specific scenarios. My Naot Kayla sandals have been to the Caribbean, Israel, and 16 European countries and they are still going strong. I’d even wear them out to dinner in California! If you’re heading out to a tropical or hot climate, these are the most comfortable shoes you can pack. Buy it here! Naot sandals are awesome! The Sabrina style is our top pick. I’ve been traveling with this shoe every day now for 13 months and they are still in great shape! I love the Moab Ventilators because they are sporty looking, water resistant, and durable. 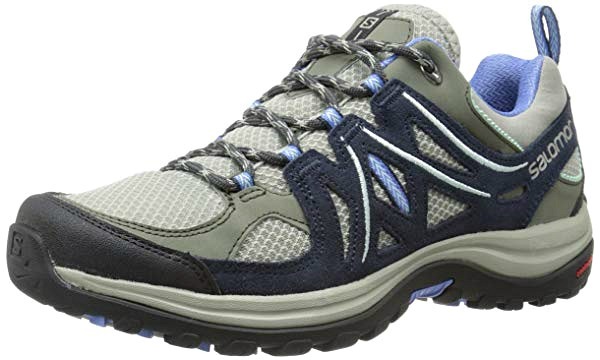 They feel like the most comfortable shoes for hiking–even in some messy places. As a bonus, they have the Merrell guarantee. 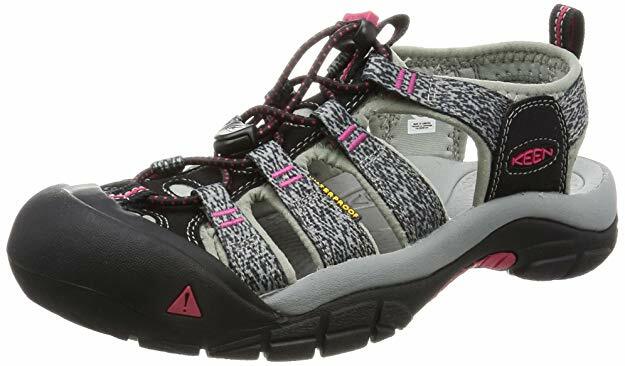 Unlike other hiking shoes, these actually look okay with yoga pants and shorts. I’ve worn them around Italy, Greece, and even France and didn’t feel completely ridiculous. Merrell has the Moab in both women and men’s styles, too–both my boyfriend and I wouldn’t get anything else for hiking! Buy it here! Read these tips to learn how to choose the best hiking shoes for women! My vote for the most comfortable shoes are my trusty Teva Tirra sandals. They are the most comfortable shoes and my go-to footwear both at home and when I travel in warmer climates. 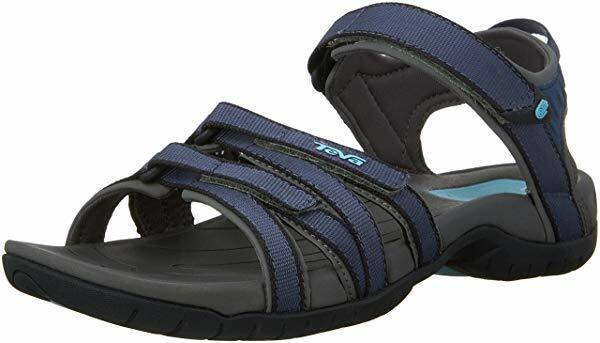 I love using my Teva sandals when I go swimming in places such as at the beach and swimming pools–they provide great foot support to scramble over rocks, sand, and pebbled swimming pool surroundings, and it doesn’t matter if they get wet because they dry quickly. An additional use for these sandals is for adventurous activities like watersports–think sailing, canoeing and kayaking! Buy it here! 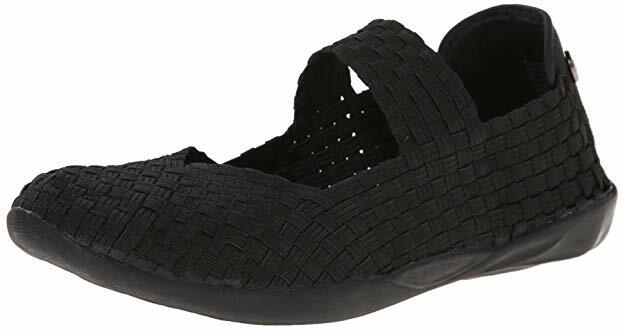 This Teva Sandal style is cute and comfortable, too! For my first trip to Southeast Asia, having the most comfortable shoes was a key priority. I knew we would be walking around, visiting farmers markets–including wet fish markets–so keeping my feet dry was important. The weather in Southeast Asia is known to be hot and humid. So, finding shoes that were covered and yet breathable became my focus. I was ecstatic when I discovered these walking shoes from Clarks. They are incredibly light, sporty, and can go with any outfit. What I especially love is that when it rains or is humid, my toes stay dry and the shoes are non-slippery. If you are looking for the most comfortable shoes for humid weather, look no further than these classic Clarks. Buy it here! 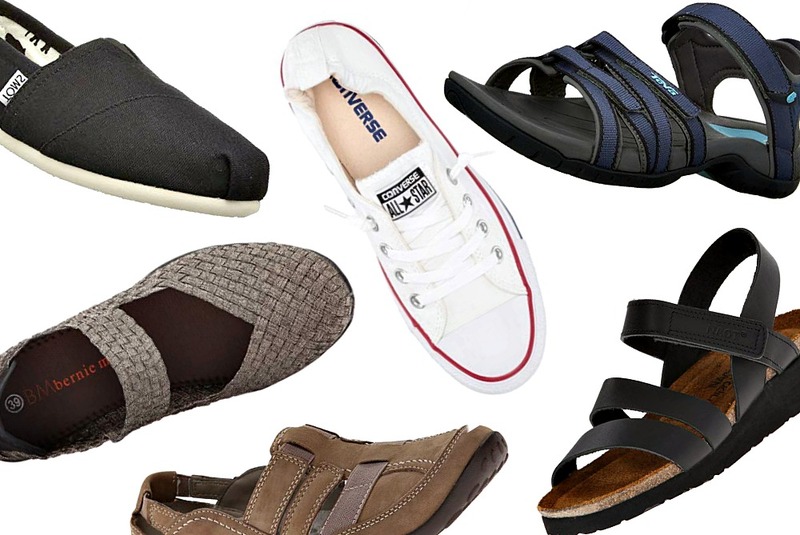 Here are some of our top travel shoes for Southeast Asia! I adore the Bernie Mev Cuddly Sneakers. Because they are made from criss-crossing elastic strips, they give me a snug, comfortable fit. 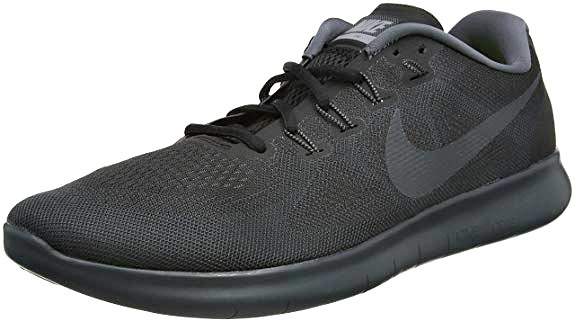 I always wear them for air travel because they are easy on, easy off when going through security, and they are so comfortable on the plane–again: easy on, easy off. I like wearing them with colorful mini socks. These are not good walking shoes–I bring along other shoes for that–but they are fine for walking around the hotel and short distances. Buy it here! These are the best and cutest walking shoes for travel! I’ve traveled with Converse shoes all over the world and worn them on dusty African roads to the streets of Europe. I’ve hitchhiked, walked dozens of miles a day, and used them in all types of crazy activities. These shoes have served me well in every situation. They are the most comfortable shoes with strong support for long walks yet stylish enough to wear in fashionable cities in Europe or America. They match with almost anything; you can wear them with jeans, shorts and dresses. They are great for summer and also for mild winters. Buy it here! Take a look at these other styles if you love sneakers! I adore my Keen Newport H2 sandals; they’re the most comfortable shoes for outdoor activities. When we travel as a family, we spend a lot of time in, or on, the water, and I was tired of shoes that got waterlogged and uncomfortable. These Keens dry quickly and stay comfortable hiking after I’ve just stepped into a stream or in my kayak. The only downside? The Keens are geared more for function than fashion, so I keep a second pair of sandals to wear when I dress up. Buy it here! For more ideas, take a look at these versatile water shoes! Craig and I (Gemma) are Team Salomon for the most comfortable shoes. Craig has been rocking his Salomon Mens Comet 3D GTX since 2013 and I’m not lying when I say he’s pretty much worn them every day. Initially he bought them to trek through Sapa Valley in Vietnam; those hiking boots have traveled around 21 other countries since then. Craig always claims I copy him and in this instance he’s correct. I purchased a pair of Salomon Ellipse Aero Fast after Achilles pain on day three of Scotland’s West Highland Way. Since that 96-mile trek, I’ve needed hiking shoes that support–but don’t touch–my sensitive ankles. Buy it here! My ultimate favorite shoes for traveling are my black Toms, which I’ve had for two years. At first I was unsure if I should spend the money on the limited edition black glitter style that was 80€ at the time. I ended up splurging and I must say: two years later, after lots of walking, they were worth every penny! The last time I abused them was when I was traveling in the Balkans, especially when I was in Budapest. I’d say that Toms are best for city travels and, at the moment, they’re in style here in Scandinavia; you’ll see hipsters wearing them on daily basis. They’re comfortable to walk in, so pretty, and match with everything! Buy it here! The Birkenstock Arizona is the ultimate and most comfortable shoes for travel. For an Aussie like myself who loves to live in sandals but also needs arch support, the Birkenstock is perfect. My family suffers from arch issues, and it was my mother who recommended Birkenstocks. She insisted I get them specifically for travel. I’ve now had them for six months, adapted to the arch support, and I could not be happier. The support I receive from the sandal is second to none, and my feet no longer ache after a long day of travel. That is a win if you ask me! Buy it here! Here are more Birkenstock sandals for women! My Havaianas Slim flip flops are always packed in my luggage. On the surface they may seem like just a lowly flip flop but looks can be deceiving. I have fussy feet and these are the only flip flops that have cushion, good traction, and never give me blisters. Obviously, they are great for beach vacations and warm destinations but when I say I always pack them in my luggage, I do mean always. 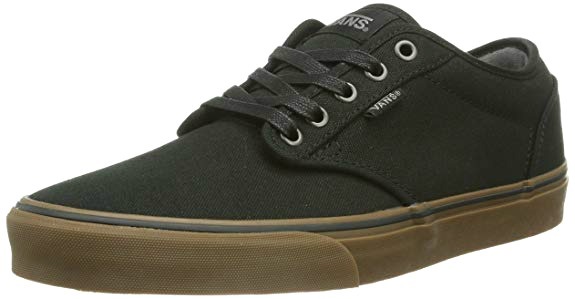 Not only are they some of the most comfortable shoes, but they are also great “shower shoes” and can double as slippers if you don’t want to walk barefoot on a grimy hotel floor. Buy it here! Wear Havaianas? These are a few more women’s flip flops you’ll absolutely love! My favorite pairs of the most comfortable shoes for traveling, by far, are my Naots. They somehow manage to feel good while looking great and they’re amazing when you want to limit the number of shoes in your luggage to just a few pairs. For winter travel I have worn my Naot Shamal boots in Vegas, walking miles of convention center aisles. I’ve also worn them in Dublin, retracing the footsteps of famous authors, and braved winter in Manhattan on multiple occasions. Buy it here! 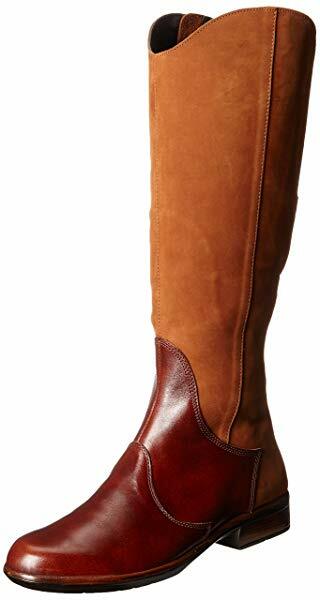 Take a look at these styles for the best womens waterproof leather boots! 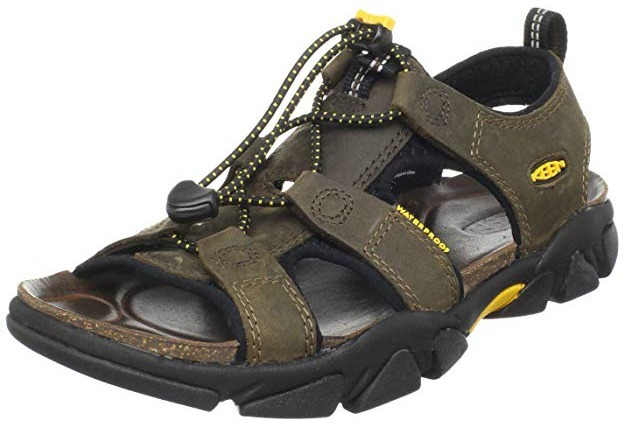 This model is great for traveling as the sandals are some of the most comfortable shoes thanks to the metatomical cork footbed and soft oiled leather upper. They are very true to size, with an open toe. No sweating, no odor! Sarasota sandals are perfect for long city walks, hiking, or trekking in hot climates. They dry fast, so you can wear them while kayaking or crossing rivers, and they are great for biking thanks to the sponge rubber. Buy it here! Read this list for fashionable yet functional walking sandals! 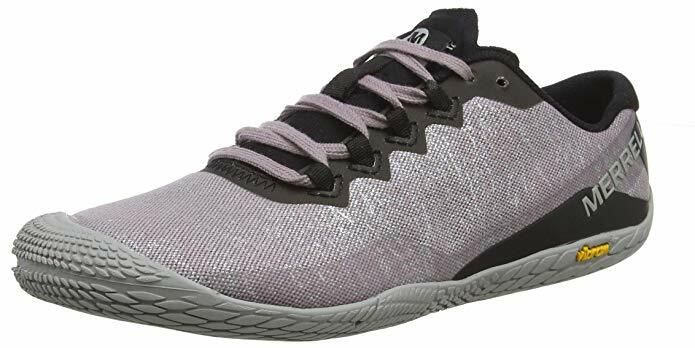 The Zee Alexis Daniel Sneaker just replaced my Sketchers for day-to-day wear as the most comfortable shoes. They offer foot-hugging support with memory foam insole and a durable rubber sole. They’re extremely lightweight and flexible. My favorite part is the woven elastic, which makes the shoe fit like a glove. They’re funky, fun and comfortable. You can spend all day sightseeing, going on five hour tours or wear them to a conference where you’re on your feet eight hours a day. Their only down fall is they are not waterproof, other then that I’ve already ordered my second pair. Buy it here! Most travelers agree that three is the magic number when it comes to packing shoes. Learn more about how to create a travel capsule wardrobe with just three pair of shoes! After years exploring the world, I wanted to find a shoe that was lightweight, stylish, and designed for running. However, I also wanted it to be dressy enough for exploring the city and visiting pubs and restaurants. I didn’t want anything dressy but I also wanted to avoid wearing bright-colored running shoes when going out at night. It’s difficult to combine all of that into one pair of shoes but it comes close with Nike’s Free Series. They offer a wide range of styles but overall, they can be worn out at night with jeans or used for a morning run. They’re also incredibly light and won’t add bulk to your bag. Buy it here! Tip: Nike Free is a favorite for female travelers, too! I’d like to share our new travel shoes from KEEN, the Aphlex. We have a habit of wearing our shoes to death before we get new ones, so new shoes are a big deal for us. 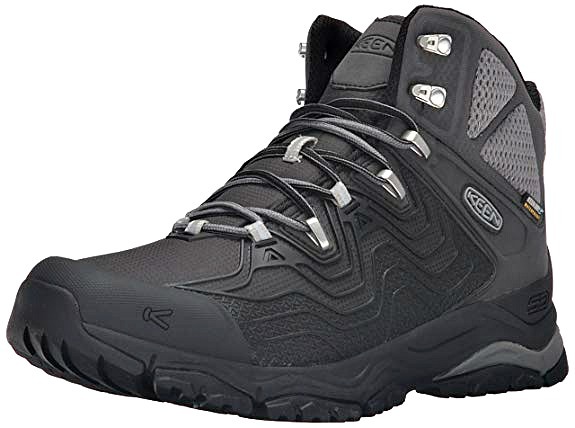 These new shoes do a bit of everything: they look good, they’re strong enough for hiking, lightweight for everyday use in hot weather, they squash into a backpack, and have an alien-looking skeleton structure on the outside. They’re waterproof too! We’re hoping that these new shoes can handle at least a year of the kind of punishment we’re going to throw at them, but we’ll just have to wait and see. Buy it here! Want to save suitcase space as a couple? Read these tips! When it comes to the perfect travel shoes for men, I think there are two important aspects: comfort and versatility. You want shoes that will be great to walk in all day and you want to be able to wear them with every outfit. That’s why I always have a pair of basic Vans Sneakers. There are various styles to choose from, but I personally love the Dark Gray Atwood style. They look great, are the most comfortable shoes for sightseeing, and you can wear them with pretty much anything. Buy it here! 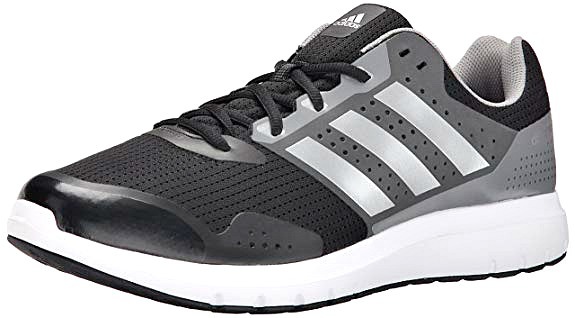 Travel light is my motto, and the Adidas Adiprene Litestrike gives me the comfort of a very “light” traveling companion. With a weight of only 7.8 ounces, it feels like I’m walking barefoot. I can easily stuff them inside my bag. The shoes are great for traveling because they’re breathable, making you feel relaxed and refreshed. The reflector feature adds security when traveling at night time. They’re the most comfortable shoes and great for a long walking tours or other extreme sports. Buy it here! What do you think are the most comfortable shoes? Share in the comments below! We hope you liked this post on the most comfortable shoes. Please share with your friends on Facebook, Twitter, and Pinterest. Thanks for reading! Vionic should be added to the list of great travel shoes, especially for people with bad feet. I travel carryon and have terrible feet that absolutely require orthotics or GOOD built-in arch support. I pack only two pair of shoes for every trip. 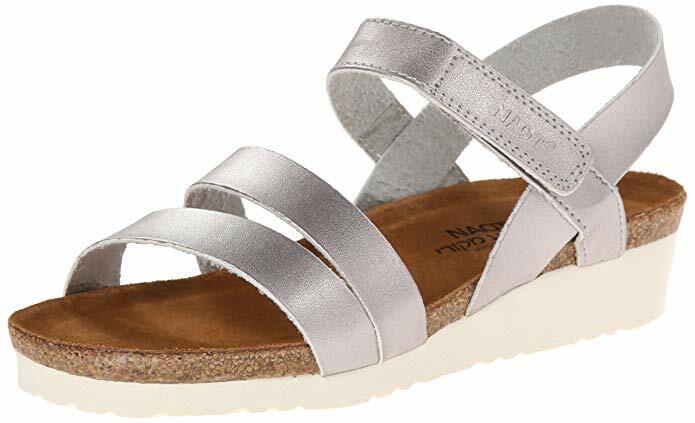 #1 Vionic sandals with arch support for in the hotel or at the beach (grey, black, or navy depending on clothing packed), these go in my personal item. #2 Either Vionic maryjanes or P. W. Minor Pivot walking shoes (burgundy, blue, or black). For #2 I insert my orthotics under the removable footbed. These go in my carryon suitcase. I wear my heaviest pair of shoes on the plane, P. W. Minor black boots in winter. I keep the soles of my shoes clean by washing them using a nail brush and always pack shoes in shoe bags to keep them from getting other items soiled. My “pack two” rule means I can take more clothing in a carryon. I travel on 5-6 weeks trips (in addition to other short trips) every year and it’s much more important to me to have additional clothing options rather than more shoes. The shoes that always remain in my bag when I travel are OTBT Lunar, they are super comfy, go with almost everything and suitable for all types of terrains, no matter how sloppy or wet it is, https://www.otbtshoes.com/collections/sneakers, perfect shoes, a must try. 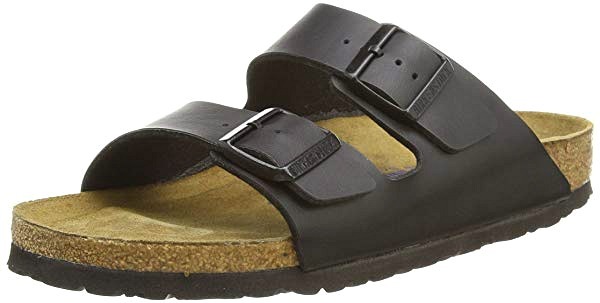 Just bought my first pair of Birkenstocks–still trying to figure out how to style them but they sure are comfortable! People love how comfortable they are! I never travel without my Sperry’s. They’re uber comfortable, good in rain or shine, and they go with almost everything. I’m team Salomon when it comes to shoes that I need to wear on a daily basis. For those who do active hiking trips, my lightweight Salmon boots were amazing and I’d highly recommend them. Ankle support, waterproof, good grip and were super-comfy from day 1 on a 4 week trip. It’s all I wore the whole time! Thanks for the feedback Ellie! The Tieks look great. Wondering what color to get for my month long trip this summer to London, Budapest, Vienna and Prague and back to London. Black and white print shorts, black skirt/dress, skinny jeans very dark blue/black, black pantagonia pants, little black dress. Colors will be a couple of tees and scarves. So I’m thinking Metallic Pewter, matte black or taupe. What do you think? Also do you have a pair? Are they good for high arch folks. Loved it! Just what I was looking for! Many great suggestions there, but I’d like to add the FitFlop brand. As a travel writer I’ve been wearing their sandals non-stop since I came across them. Because the footbed is so thick, it acts like a platform and keeps your feet above the puddles during a tropical downpour. And the contoured footbed is so comfortable I can wear them all day. With a variety of fashionable styles, a couple of pairs will see you through both day and night. (I have a simple black leather-look for day and the black beaded Cha Cha design which works with evening attire.) I see they also do sneakers, though I haven’t tried them. 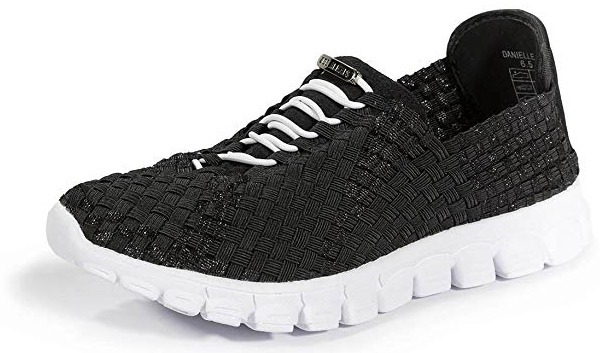 As others have suggested, Sketchers Go Walk also make incredibly light-weight and comfortable sneakers, though they tend to get whiffy quickly in hot weather and it’s not so easy to wash them while travelling. I really like my Skecher On The Go shoes for travel as well as everyday. Thanks for sharing Kim! Love Skechers for travel! This blog post was WIDLY helpful. I have “fussy feet” and being able to invest in shoes that will work for walking for extended periods of time without making my feet scream is huge! Thanks for this list! That’s really great news Kari! I’m so happy you could find something that works! what’d you end up buying? I swear by my adidas superstars, they take me anywhere anytime, but this is a very nice list and I didn’t know all of these shoes. Worth to take a look at. Oh that’s a great suggestion! Thanks for the advice!